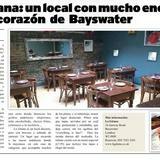 La Gitana is a Spanish tapas restaurant found on Baywater's Garway Road. Head chef Antonio Trujillo creates an extensive choice of authentic dishes specialising in dishes from home town Jerez in Andalucia. La Gitana also boasts an comprehensive drinks selection to complement your meal. 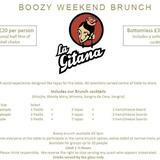 Do you work at La Gitana? 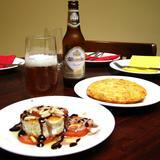 Spanish wines, beers and cider as well as their popular sangria are available. Seating area to the front of the restaurant. 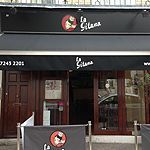 What did you think of La Gitana? Very nice food at a terrific price for central London. We had a selection of vegetarian and meat dishes, With a bottle of cava that complemented the food. Service was fast and polite. I will be going back and recommending this to my friends. First time visiting this new restaurant and we were not disappointed. 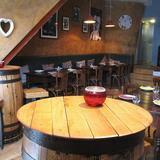 Menu is good with a nice range of tapas, which is pretty reasonsbly priced for this part of London. Friendly staff contributed to the overall lively amibence. Will definitely come back.